Marie started her studies in Counselling in 2011. She completed a Certificate and Diploma Counselling and Psychotherapy with PCI College. Marie went on and completed her Degree in Counselling & Psychotherapy with Middlesex University. Marie believes in building the therapeutic relationship, meeting a person where they are at, providing a genuine, non- judgmental & supportive environment for the person to talk about whatever they might need. She specializes in working with stress, anxiety, depression, self – esteem and has a keen interest in the area of Trauma. Marie is heavily involved in promoting Mental Health Awareness in the Community. 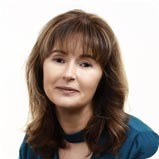 She adheres to the Professional Code of Ethics as upheld by the Irish Association of Counselling & Psychotherapy (IACP) and is currently a pre-accredited member of the organisation.